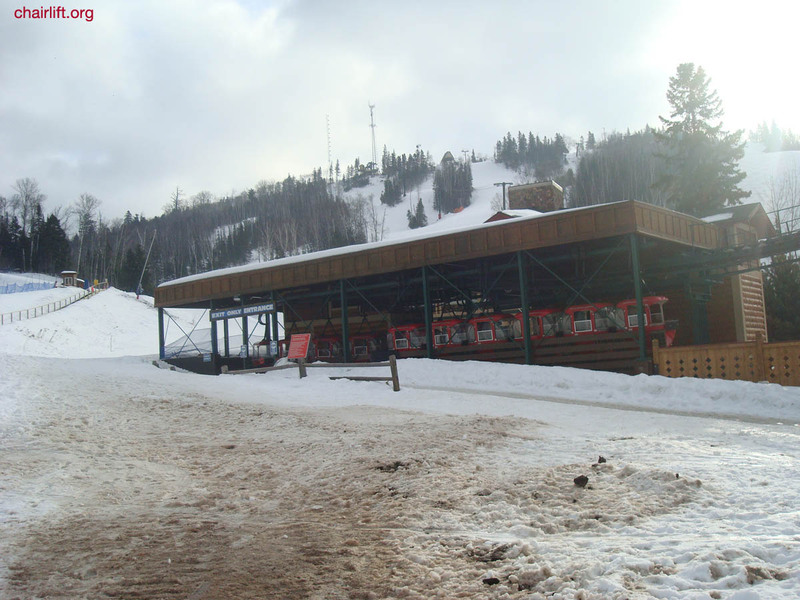 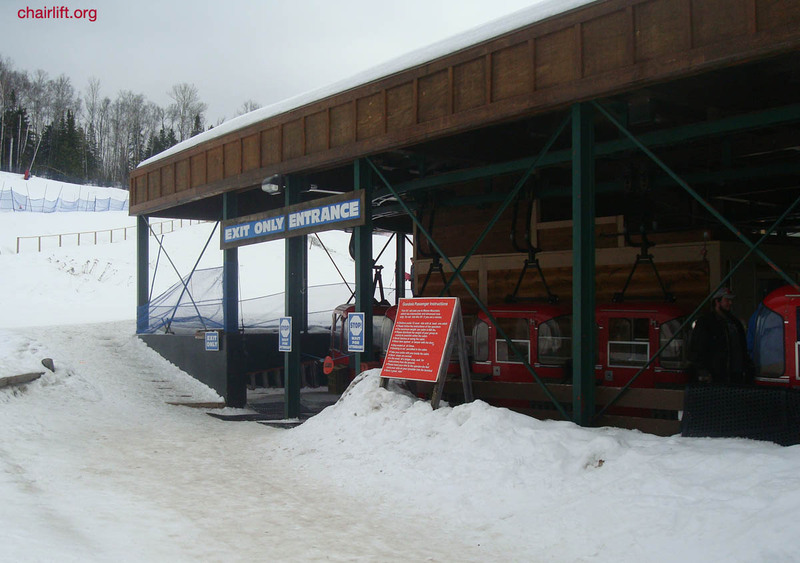 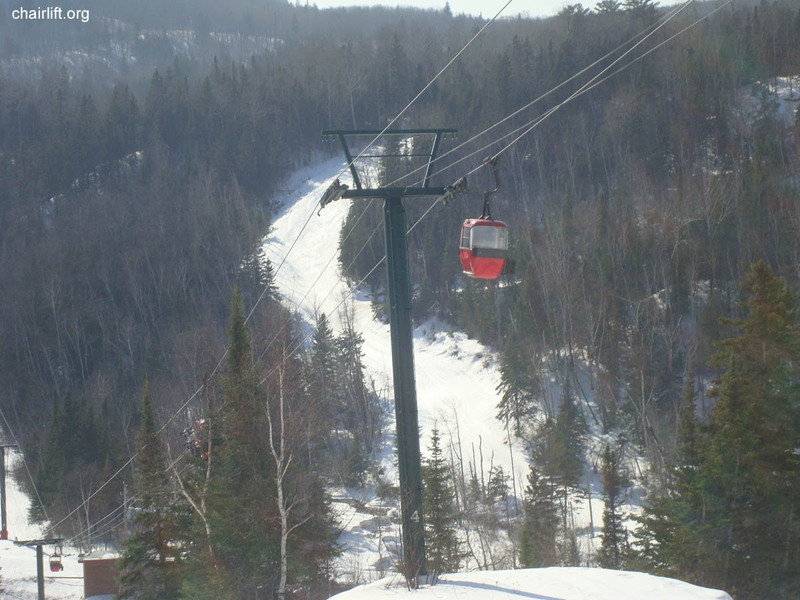 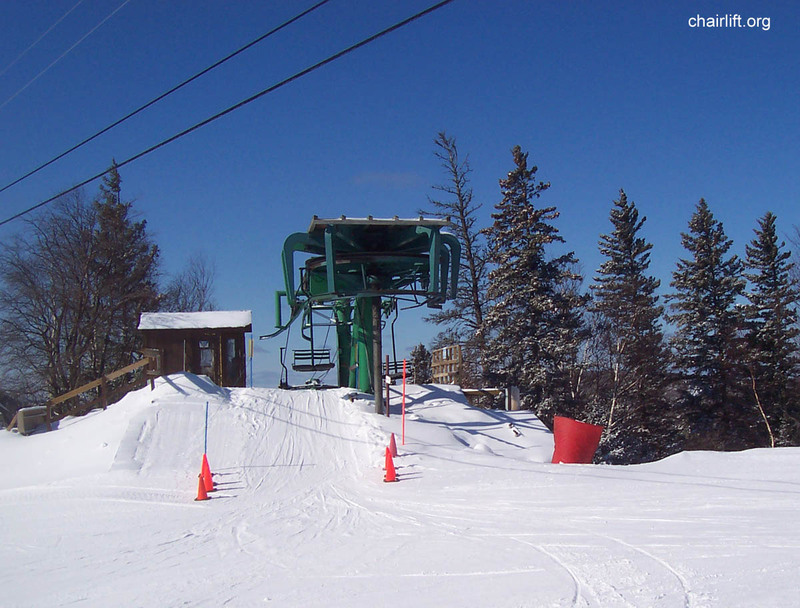 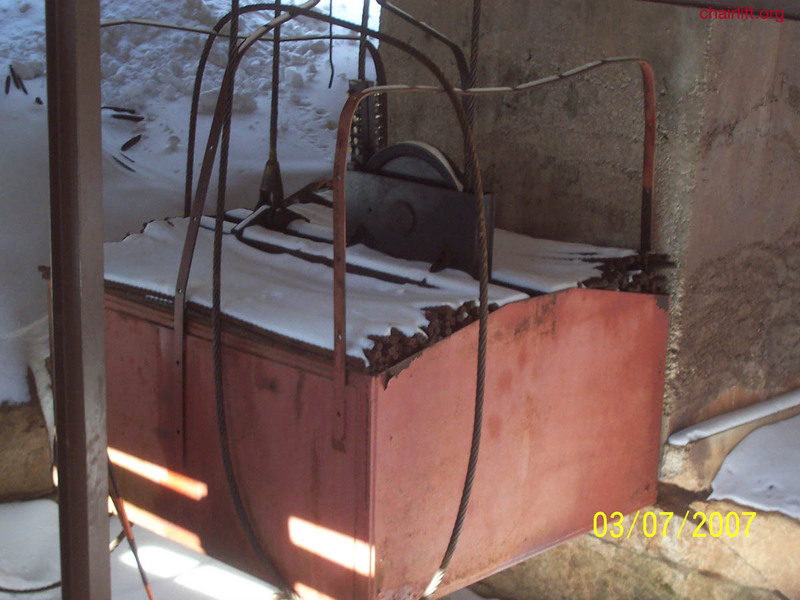 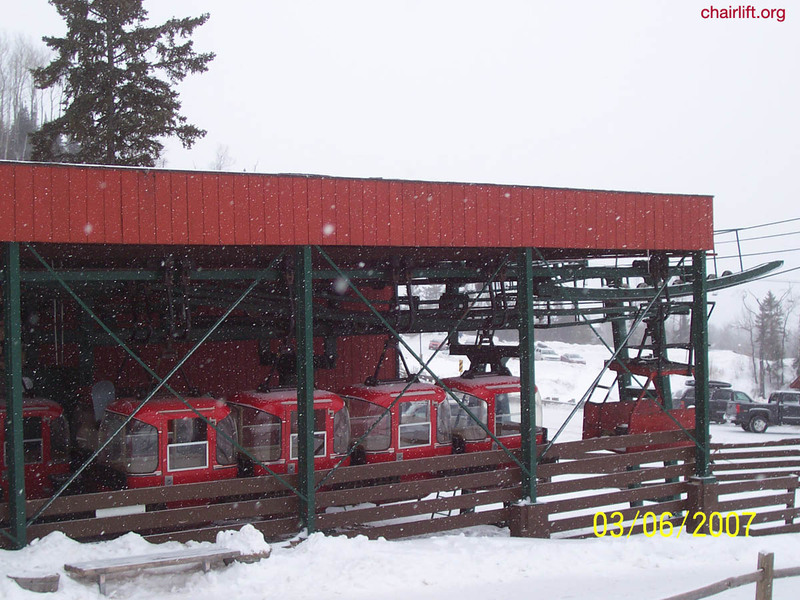 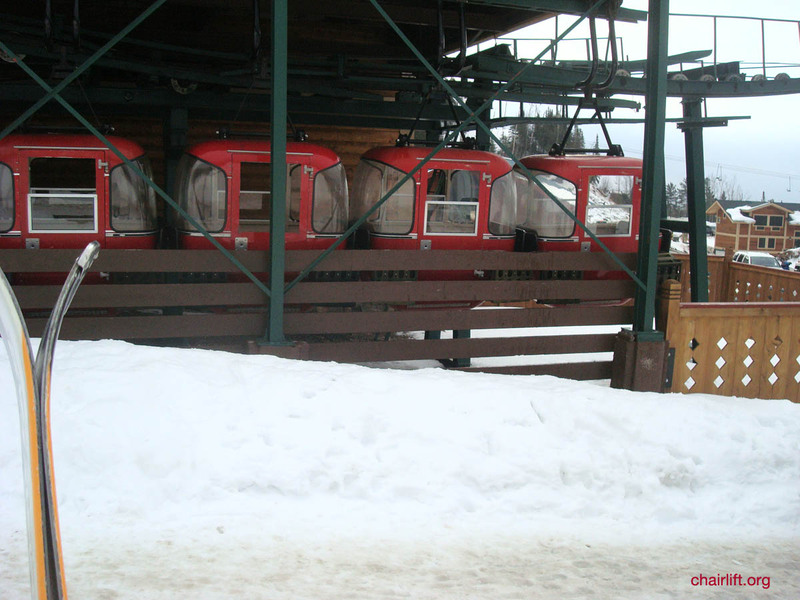 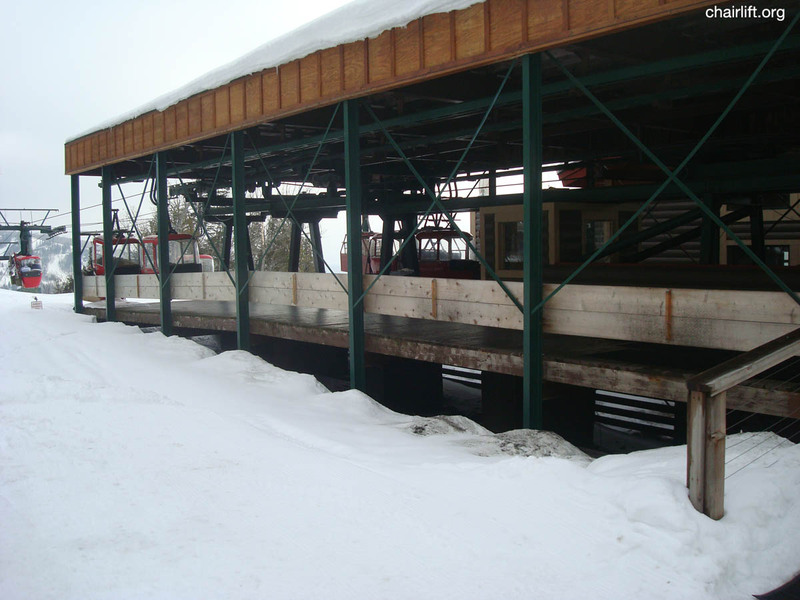 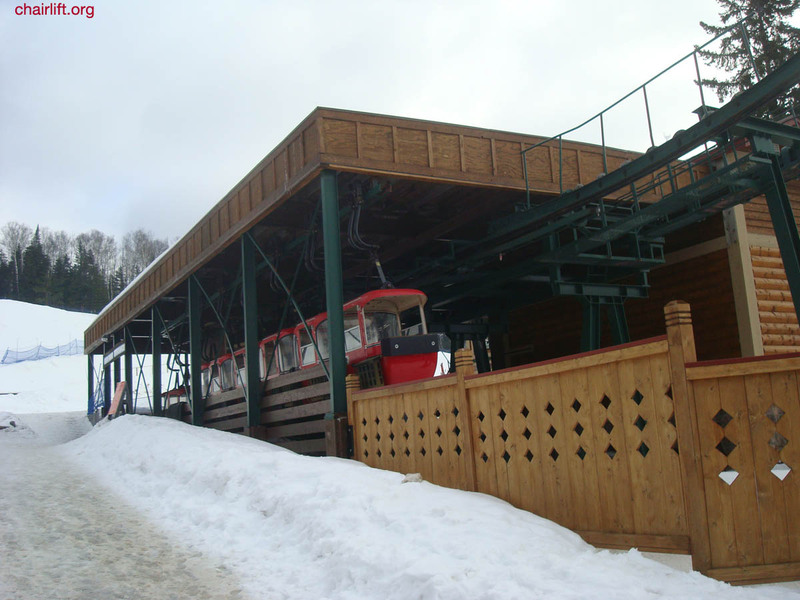 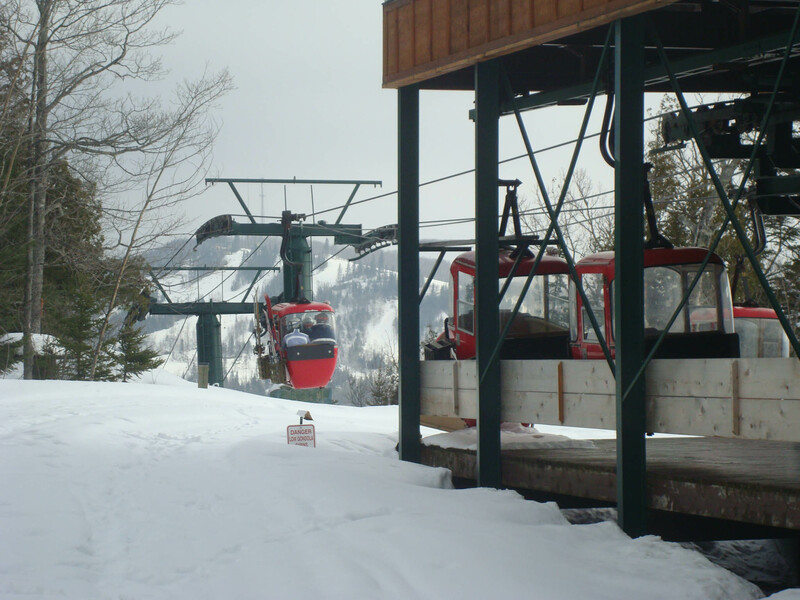 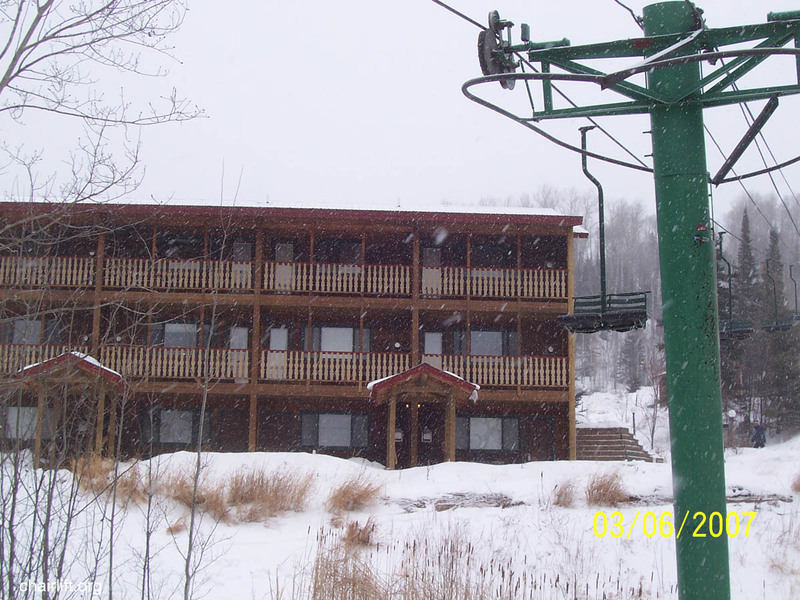 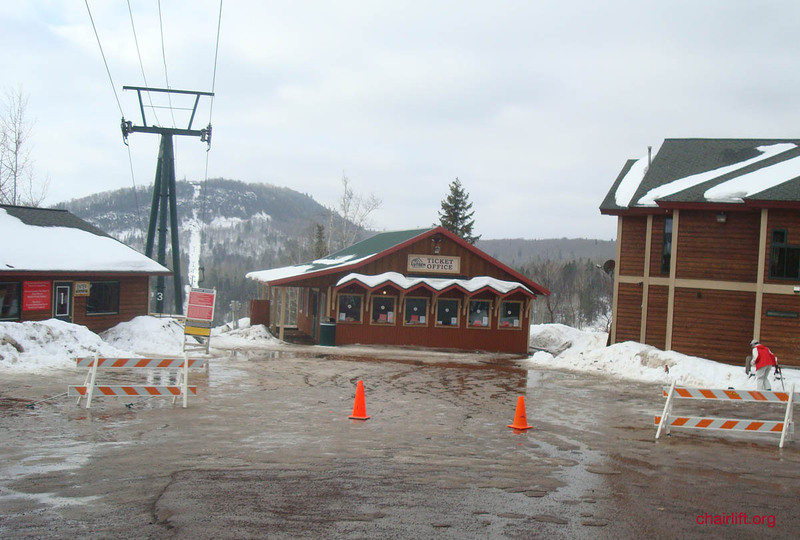 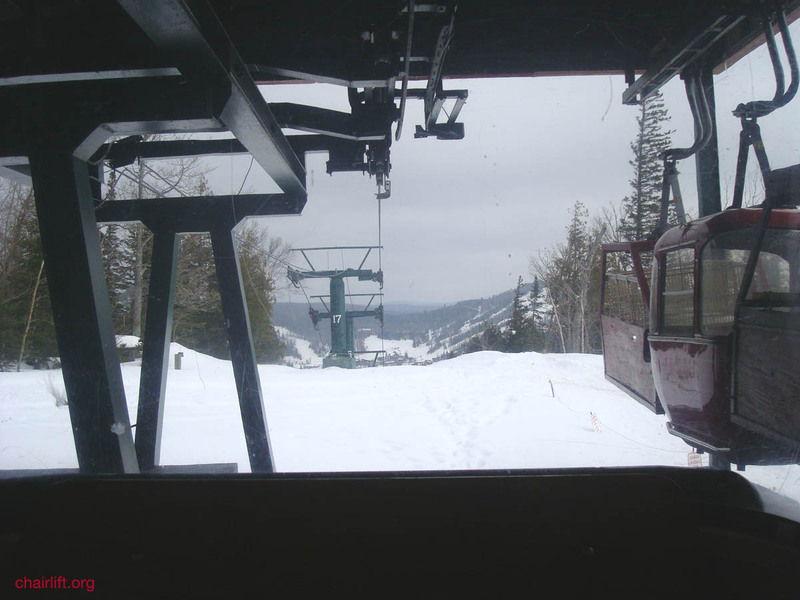 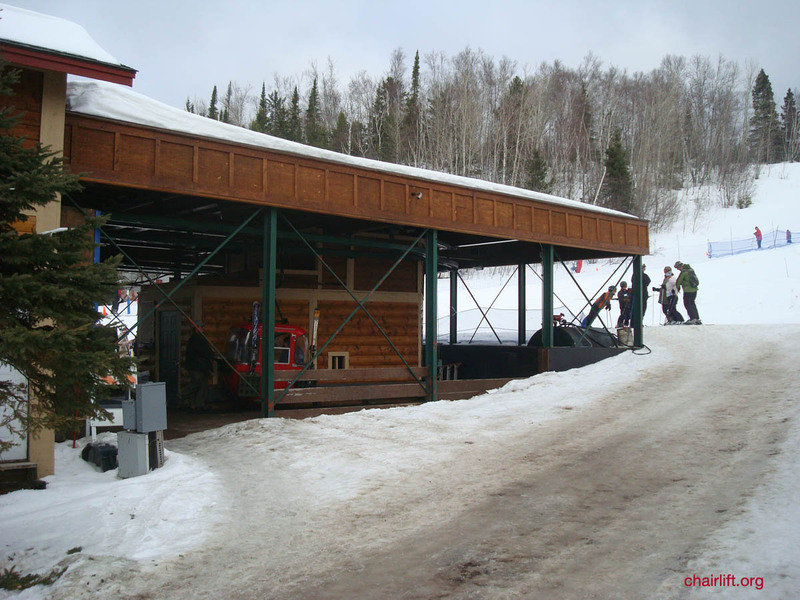 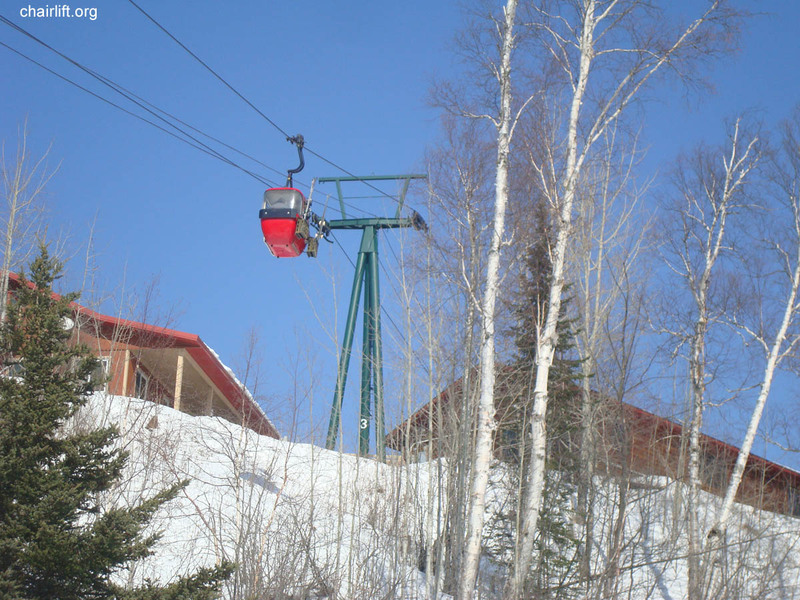 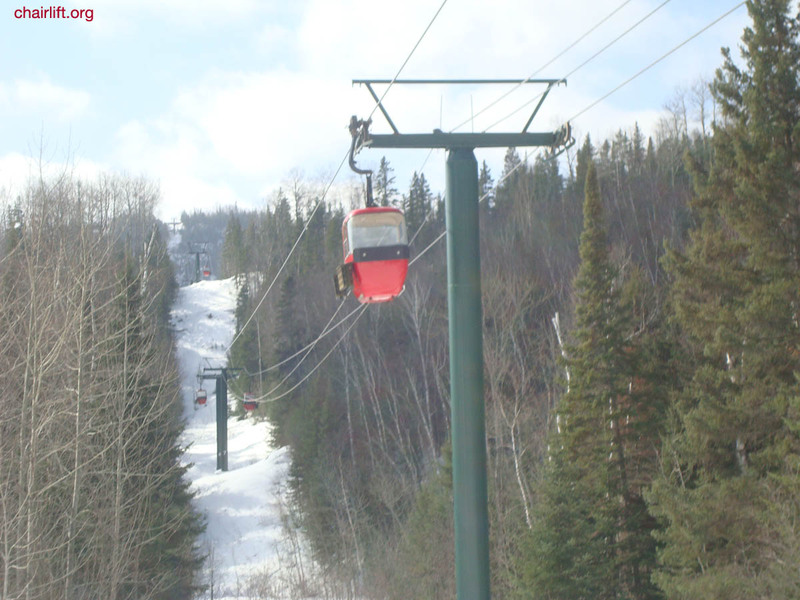 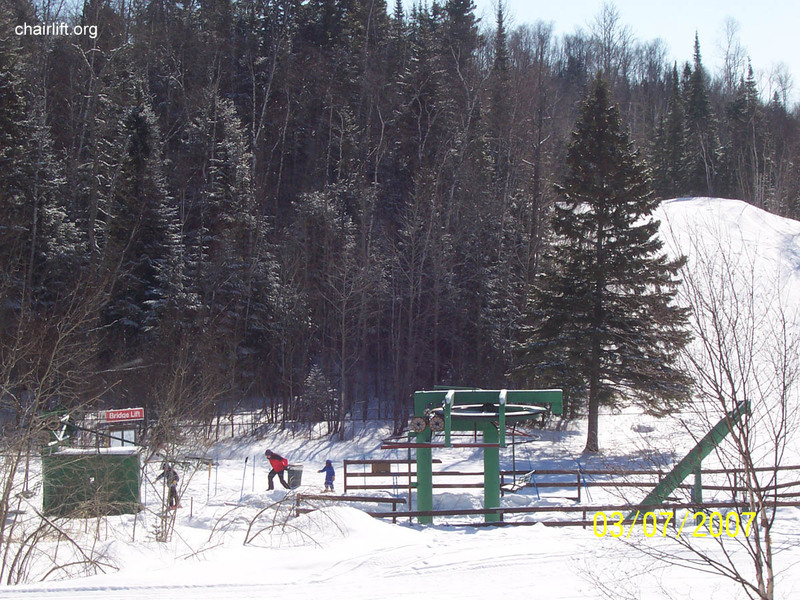 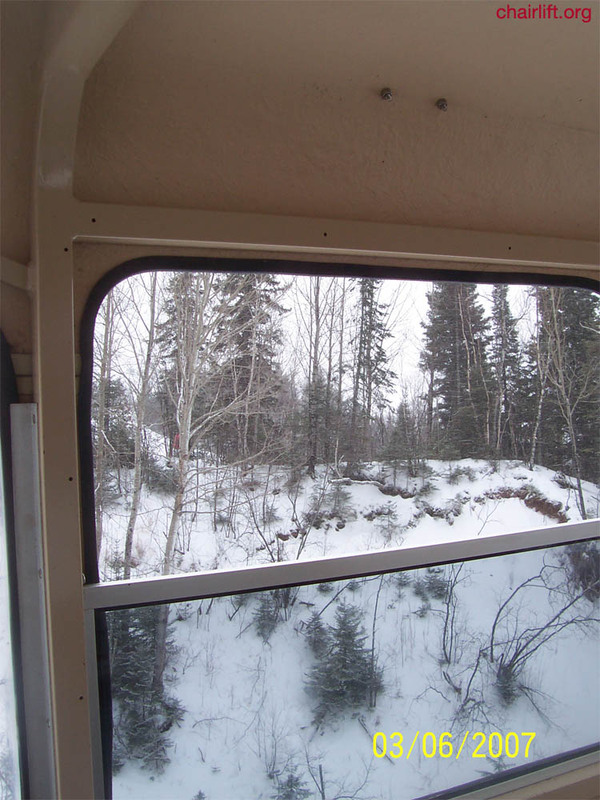 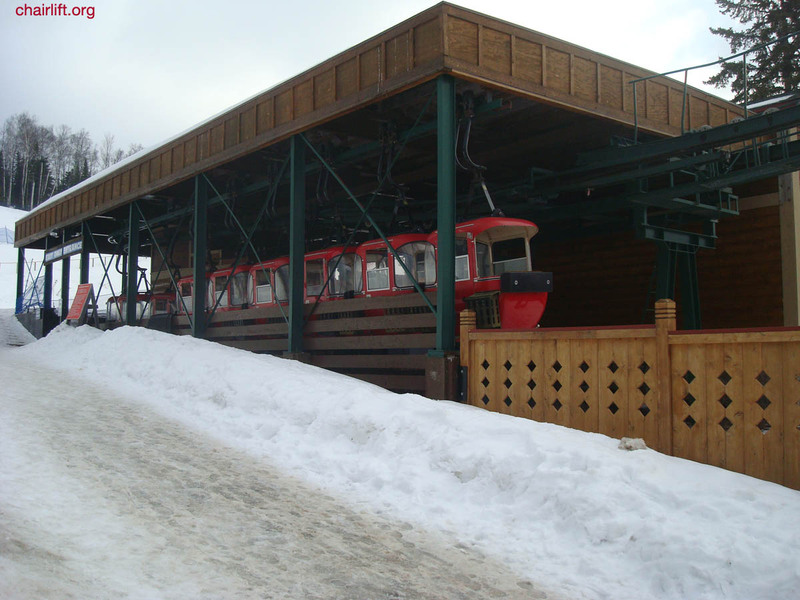 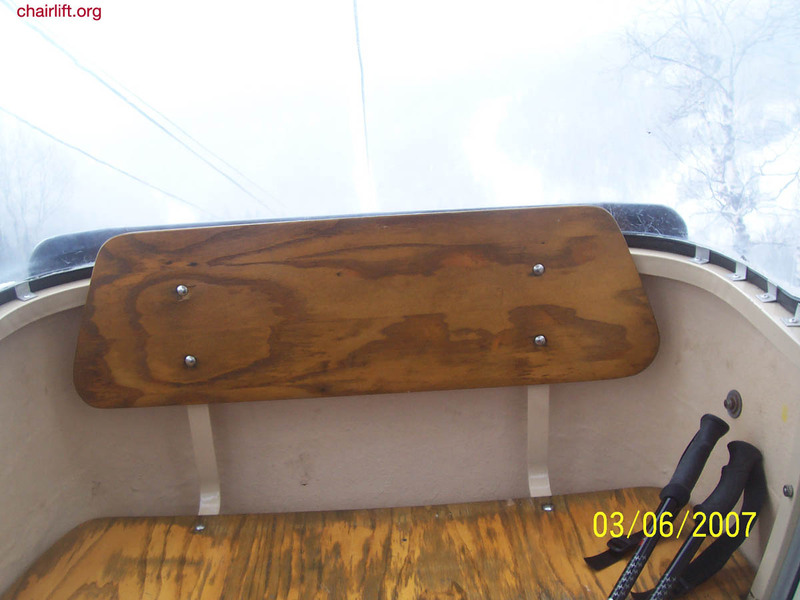 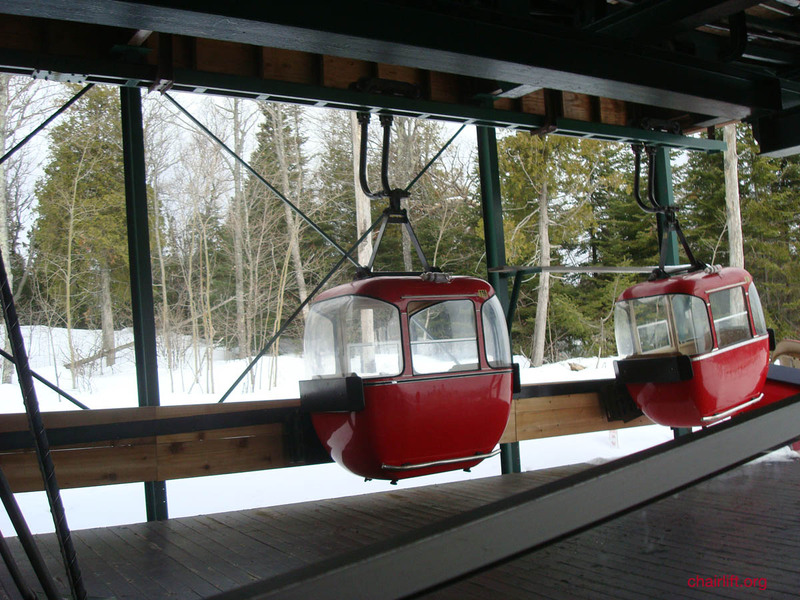 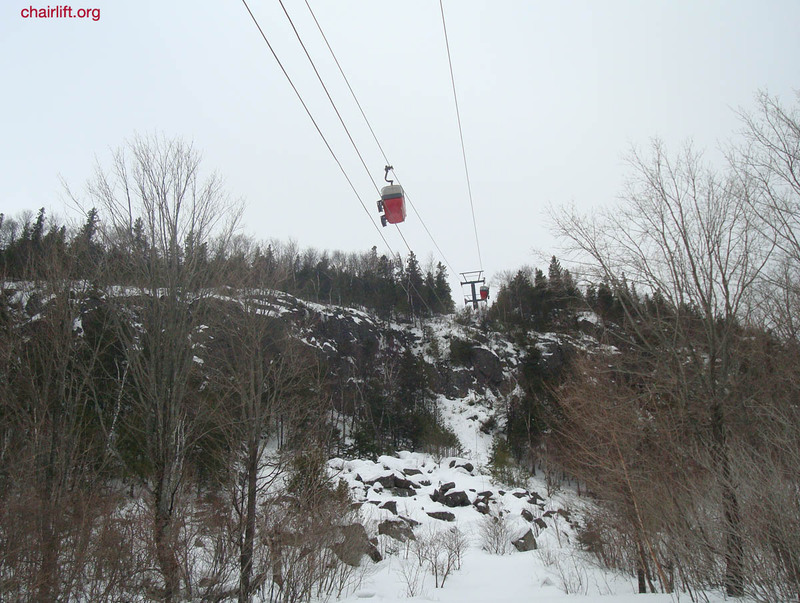 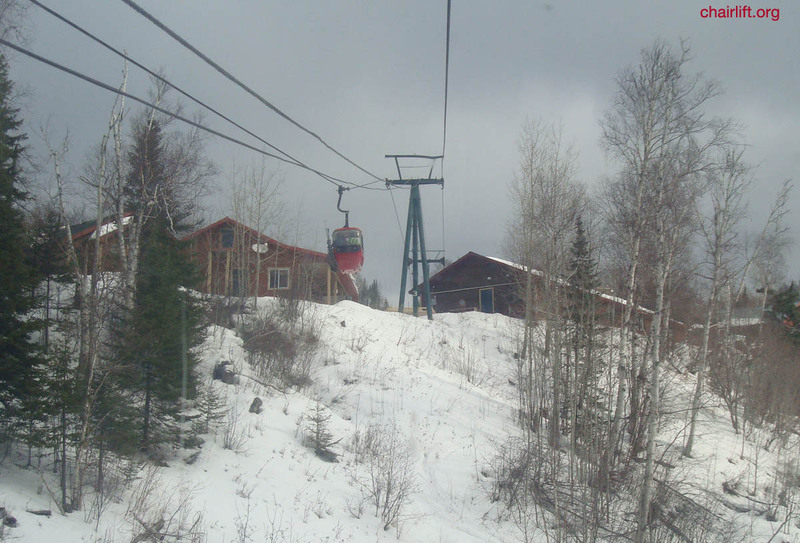 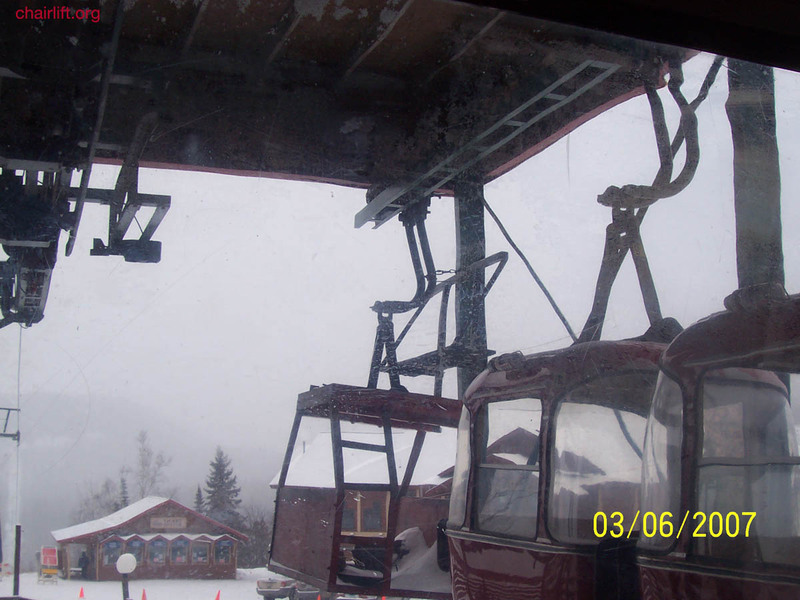 When loon replaced their Gondola in 1988 it was relocated to Lutsen and first operated in 1989.
lift Lutsen retains the quaint feel while providing many safe rides for years to come. 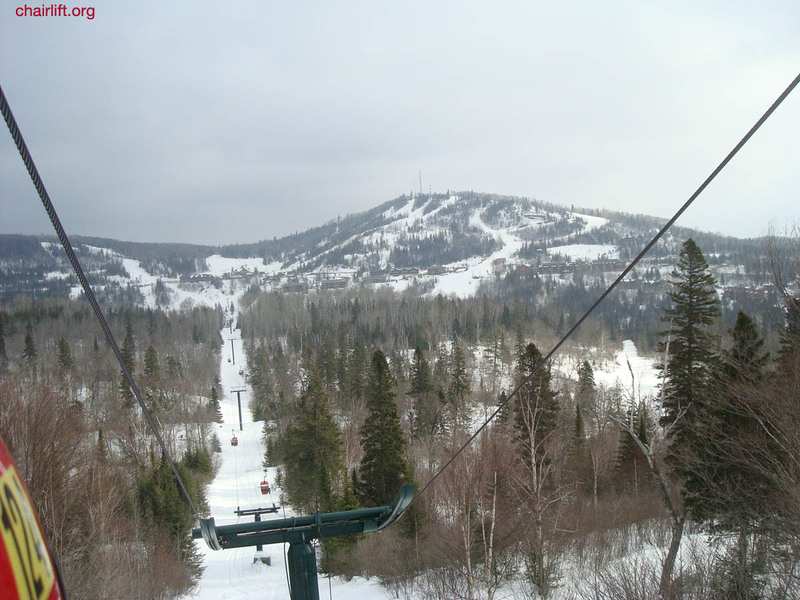 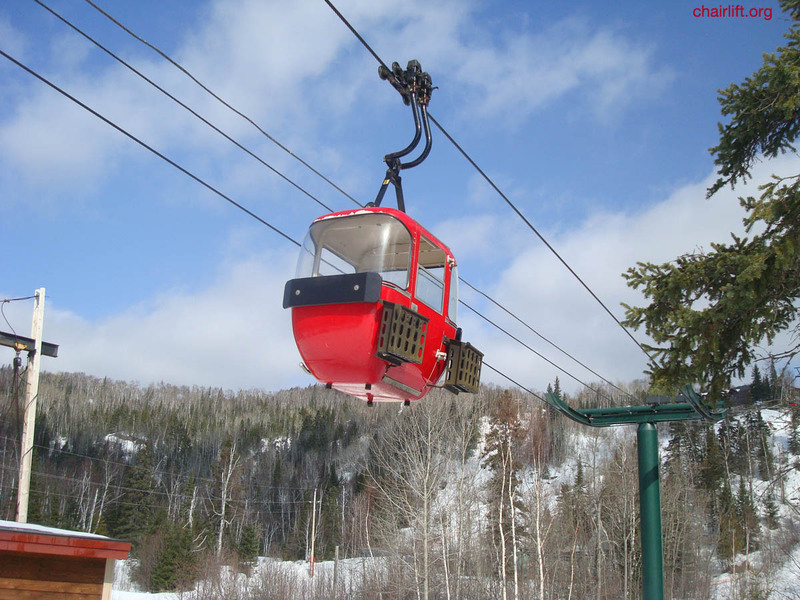 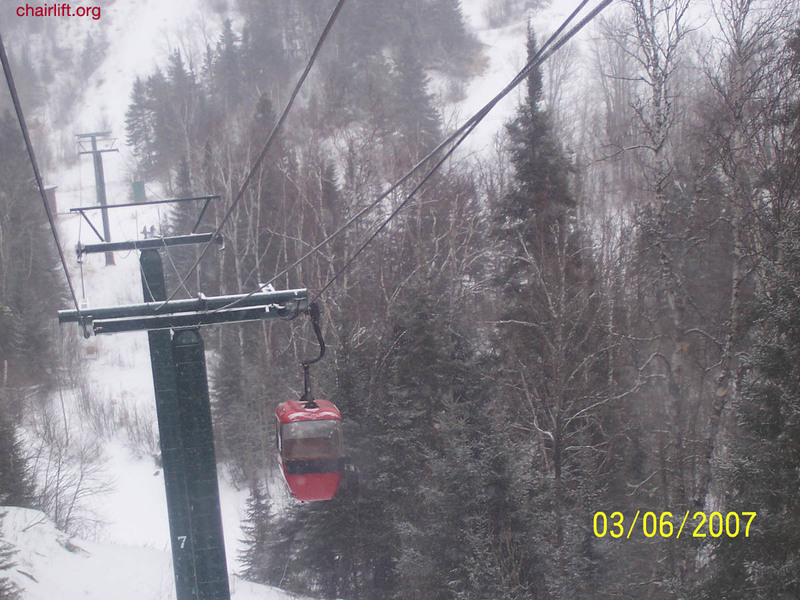 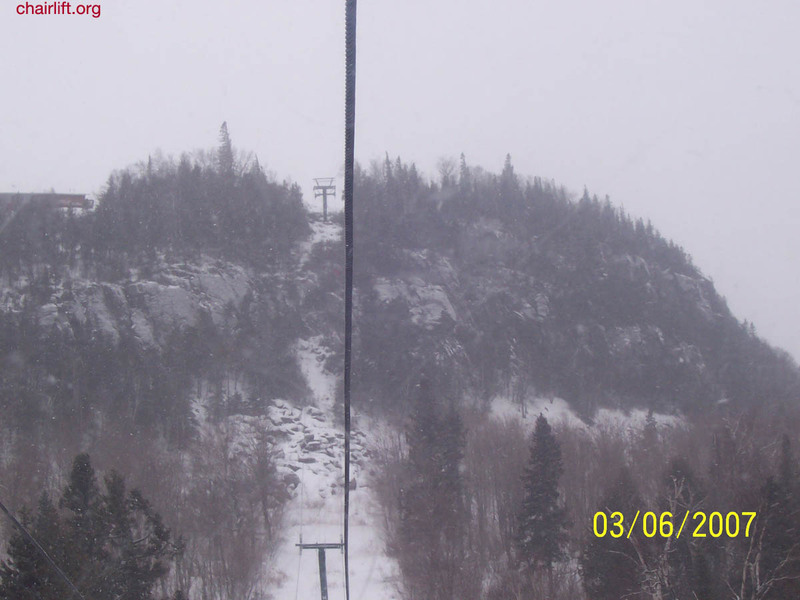 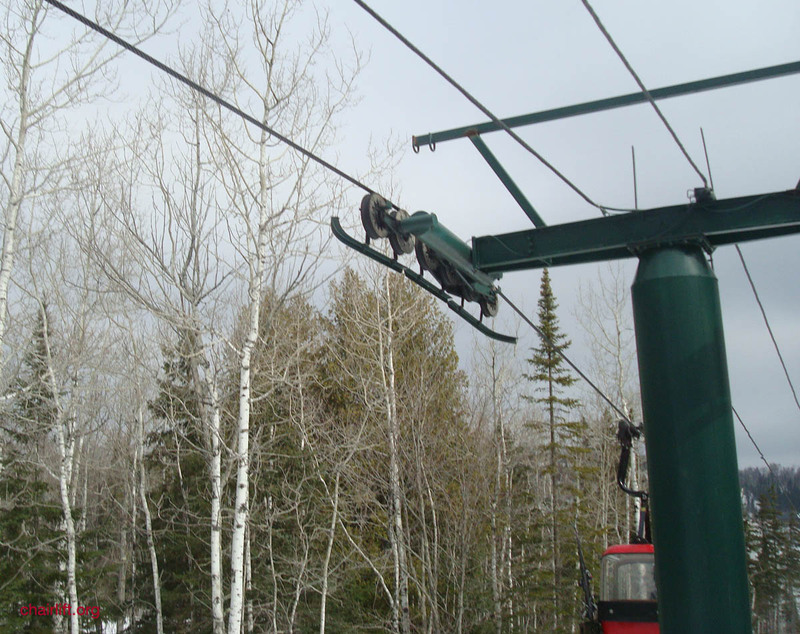 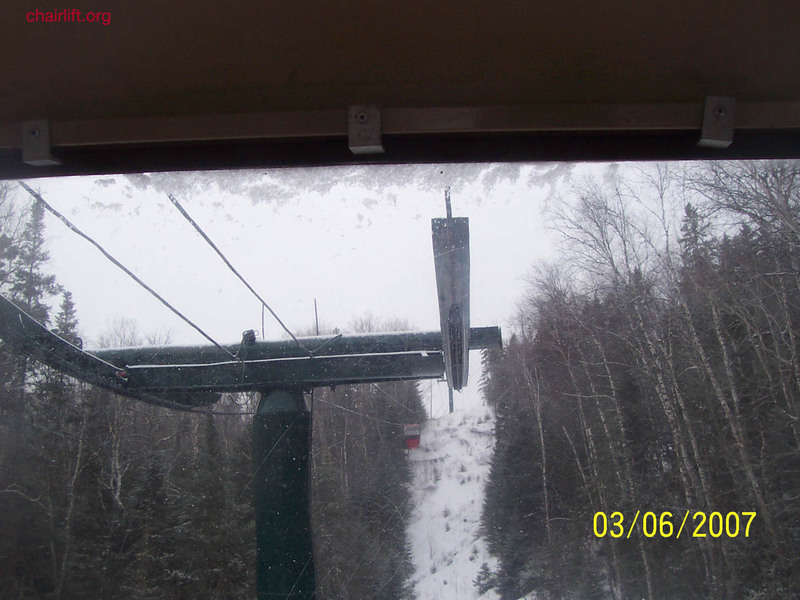 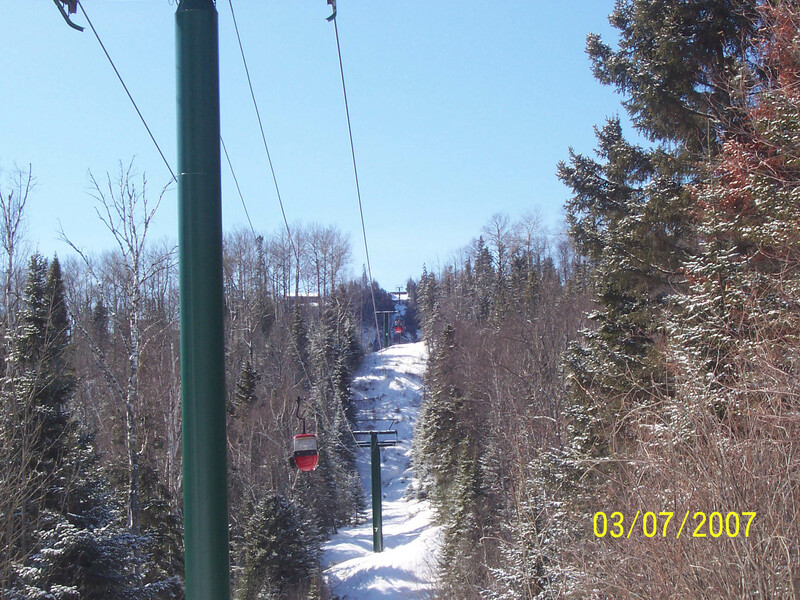 Way to go Lutsen this gondola is so classic! 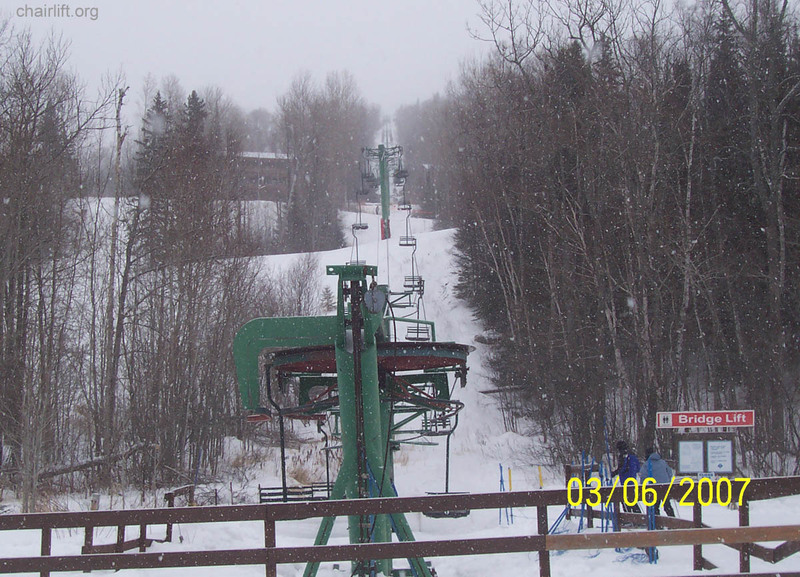 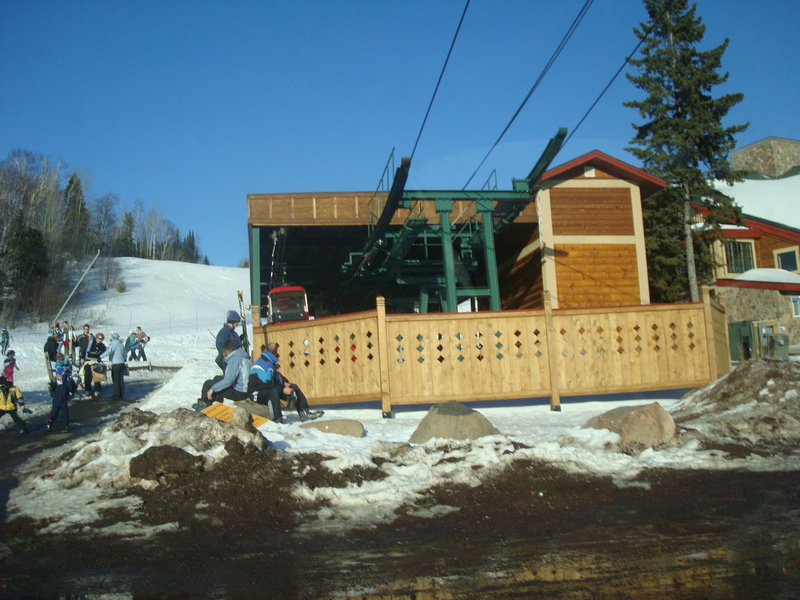 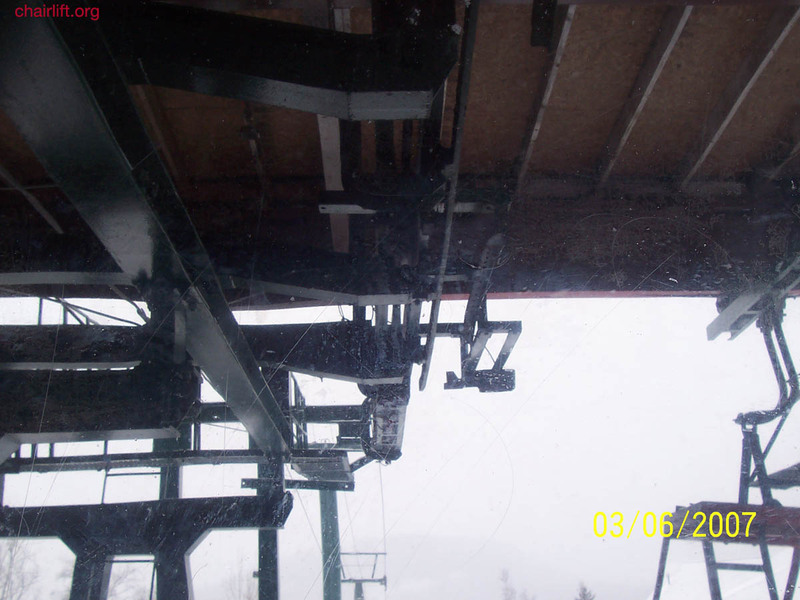 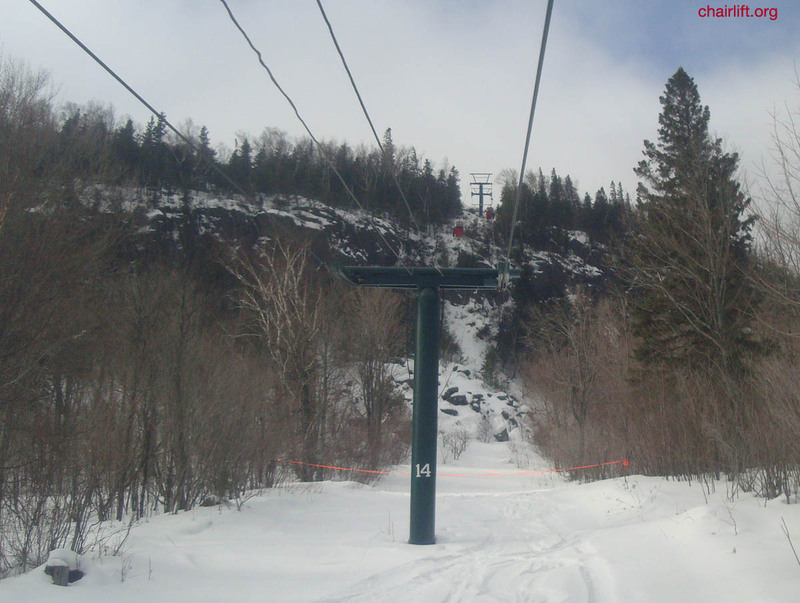 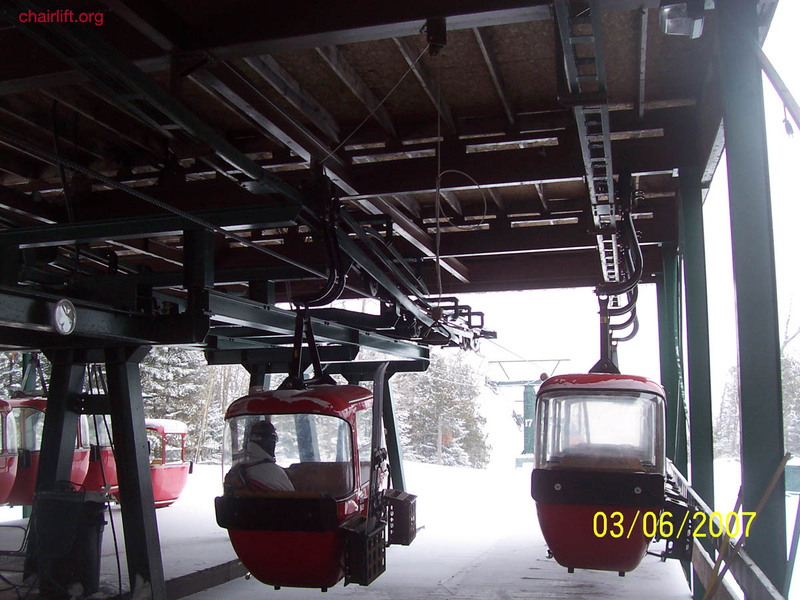 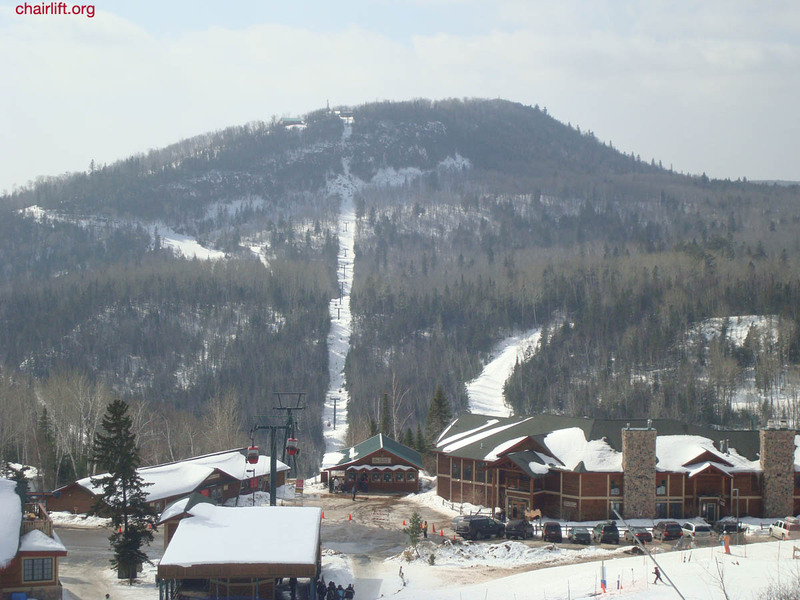 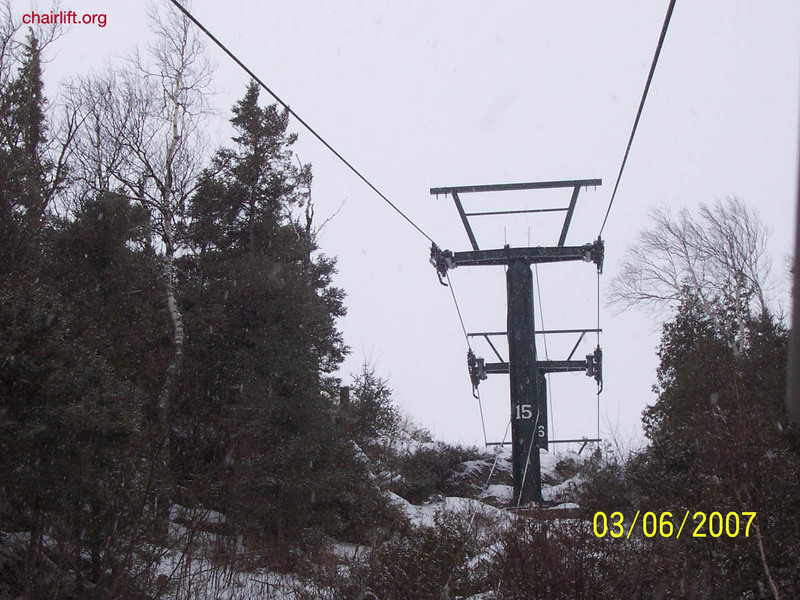 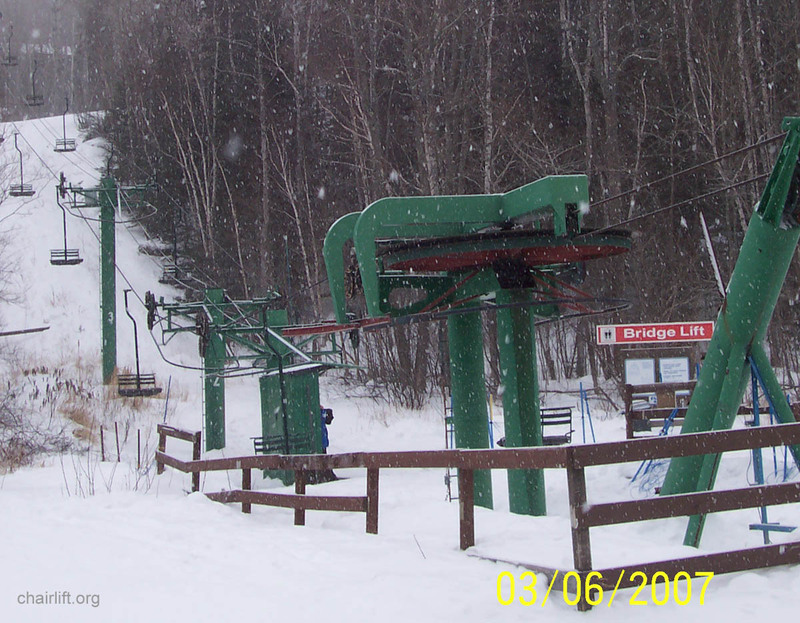 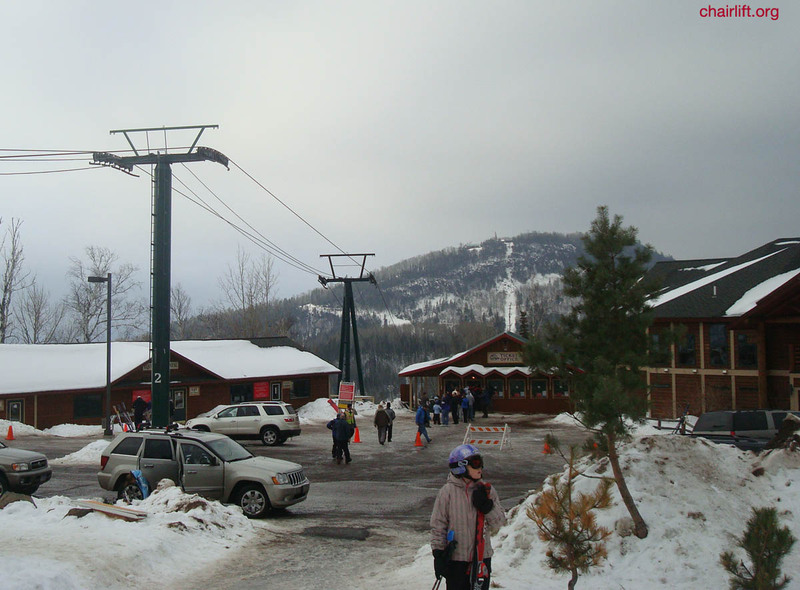 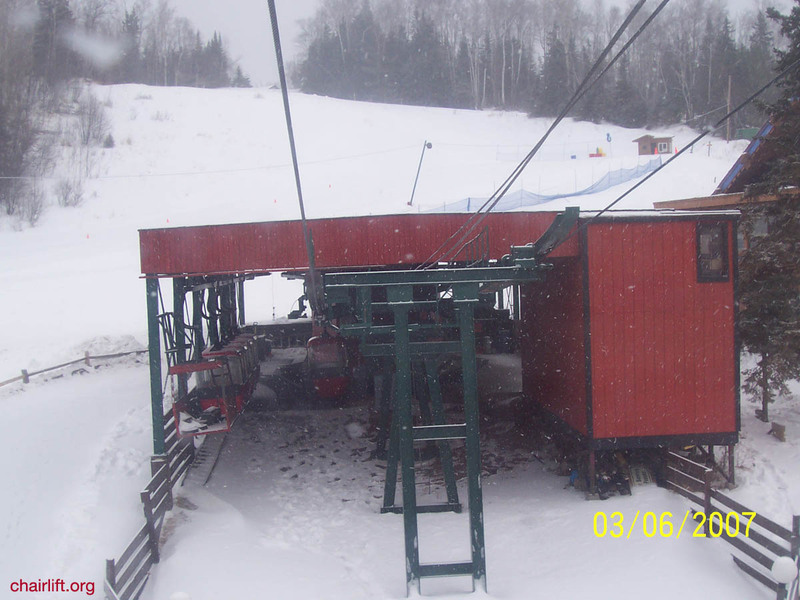 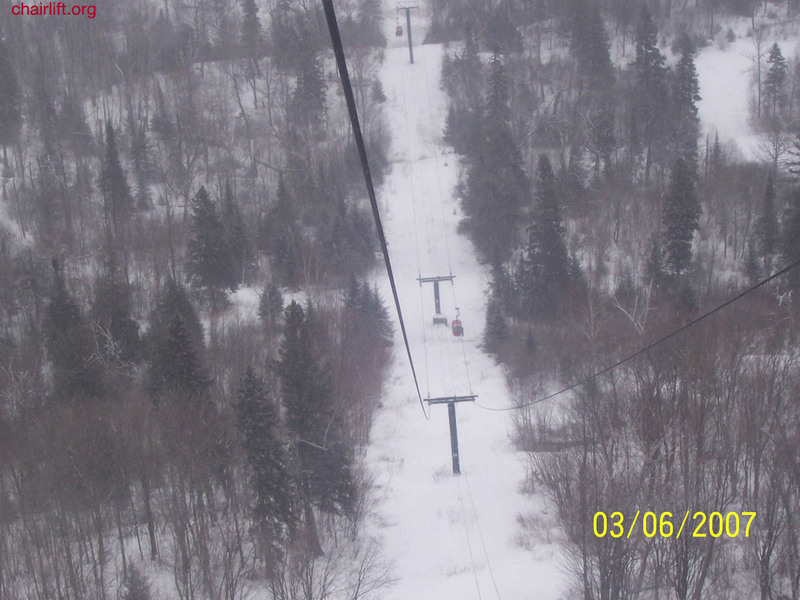 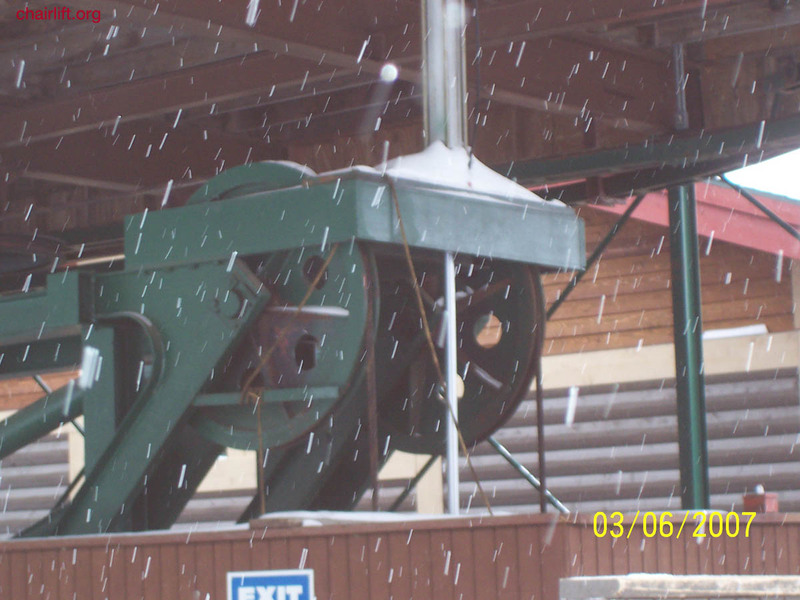 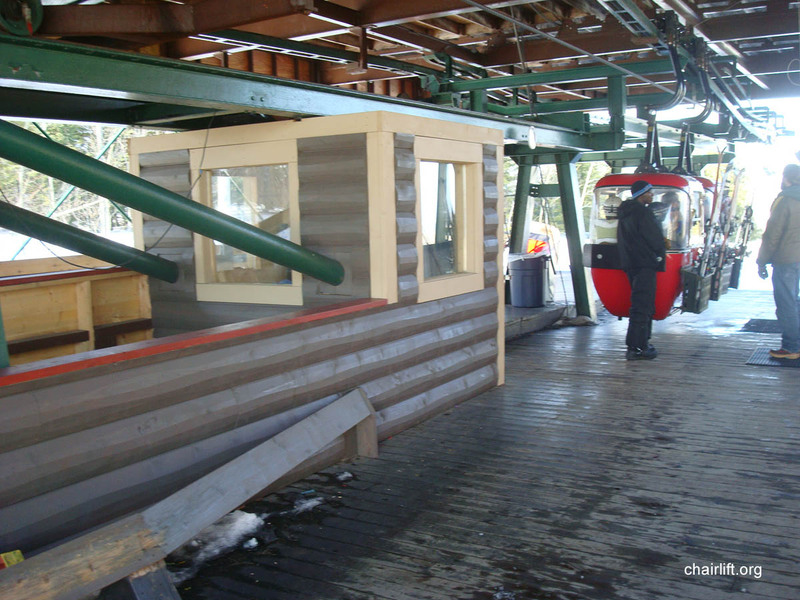 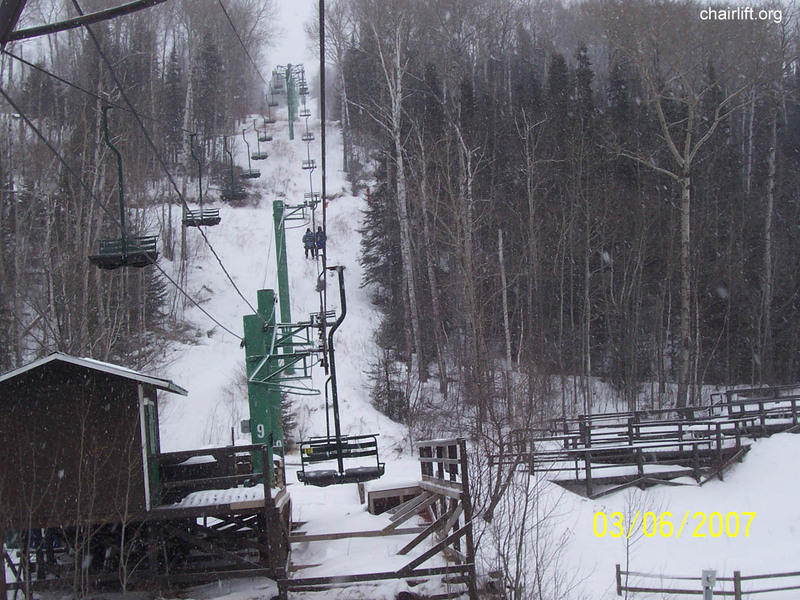 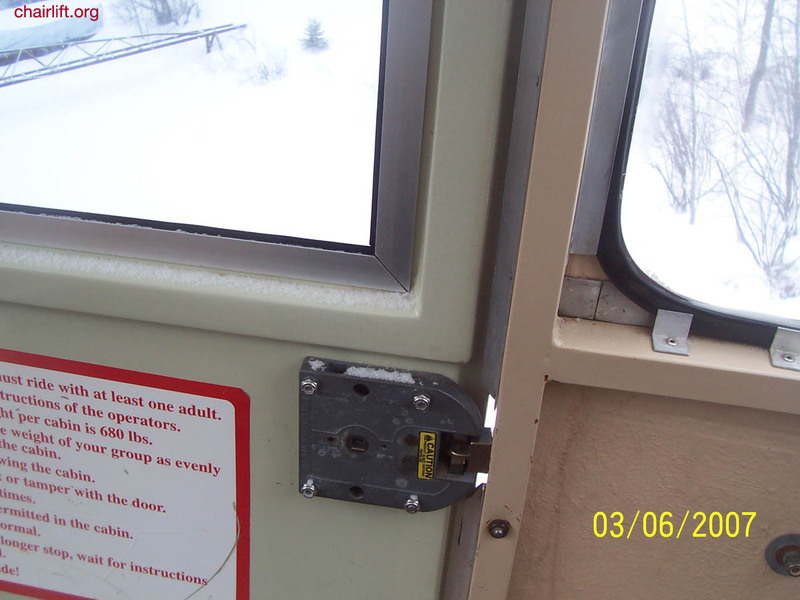 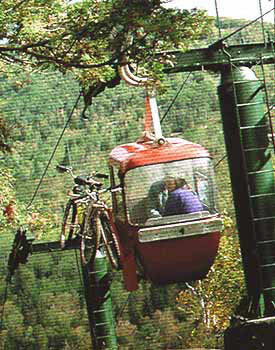 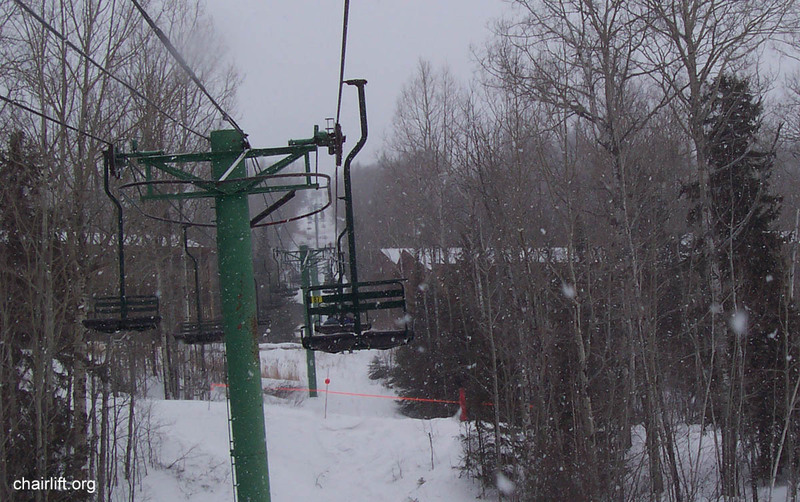 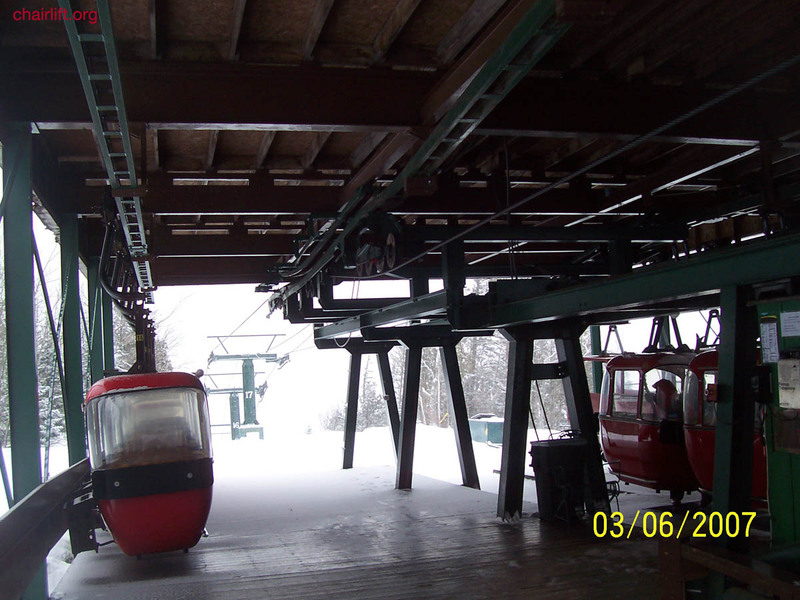 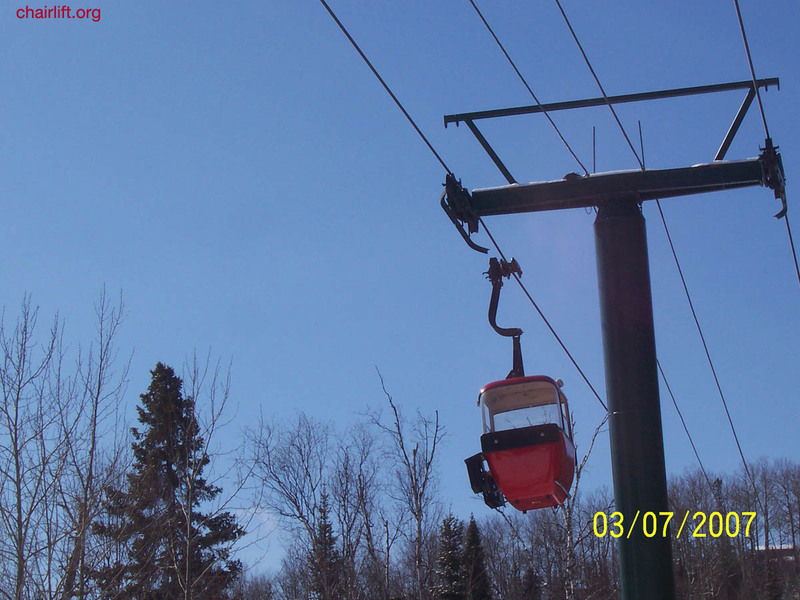 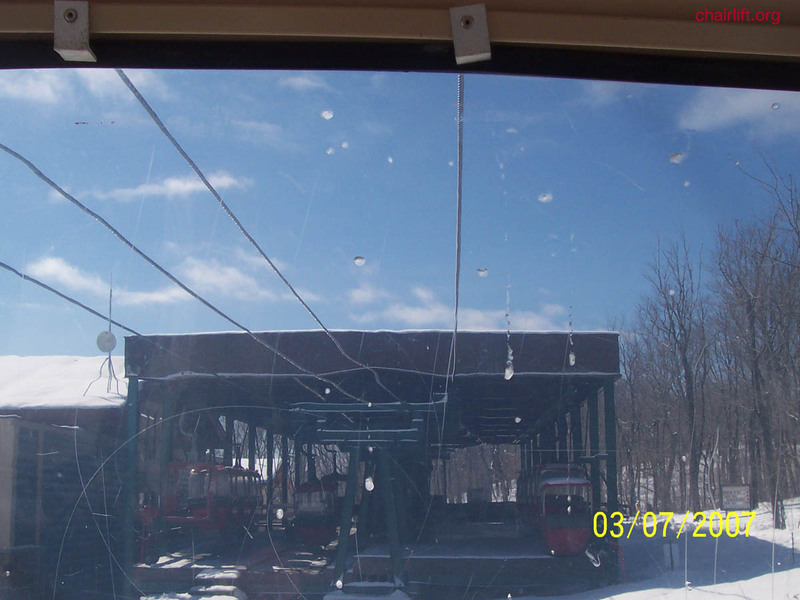 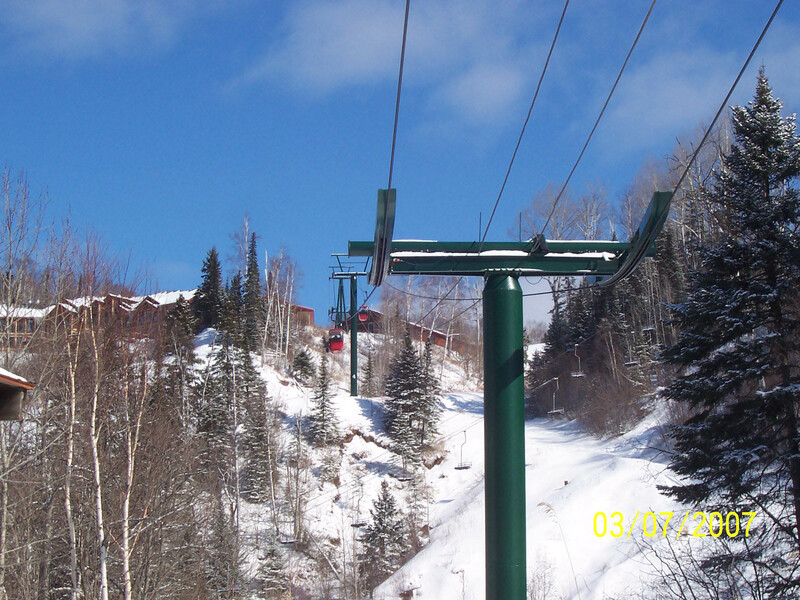 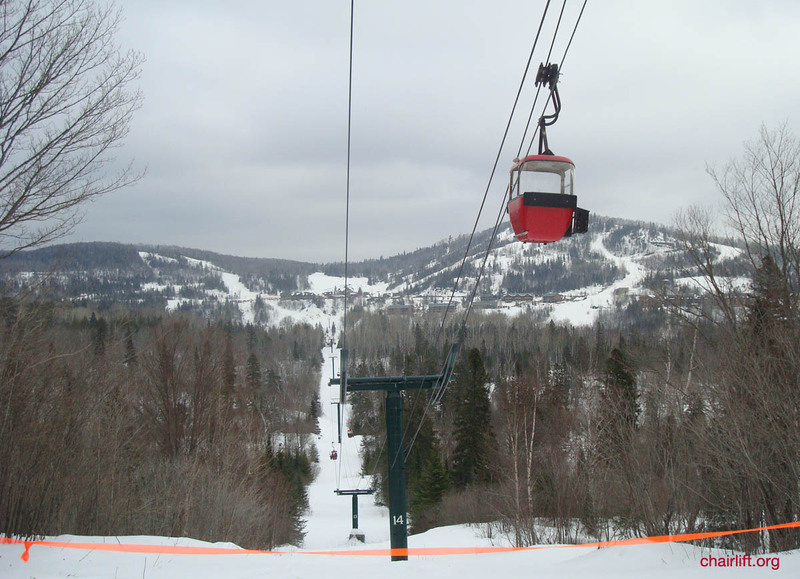 The lift is pictured HERE when it was installed at Loon. 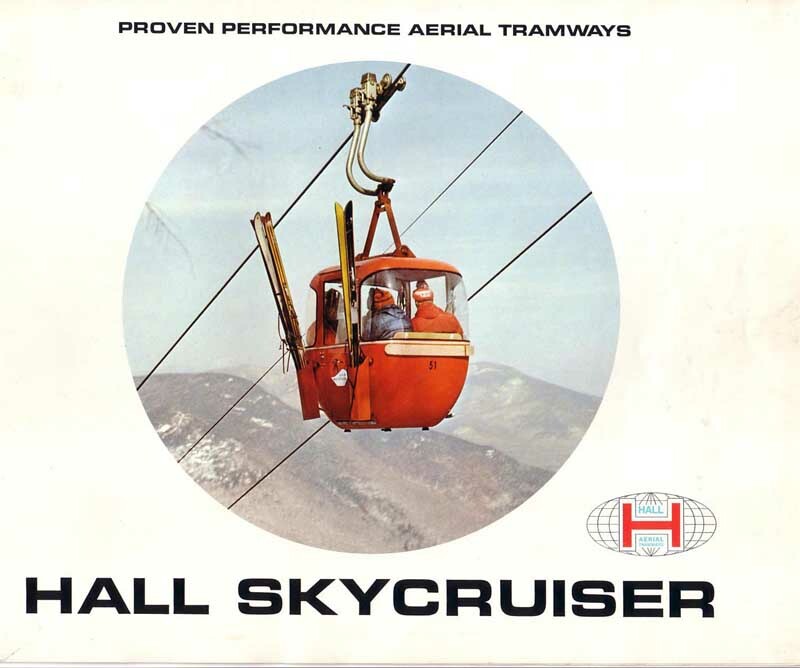 This was the cover of a Hall Ski lft brochure. 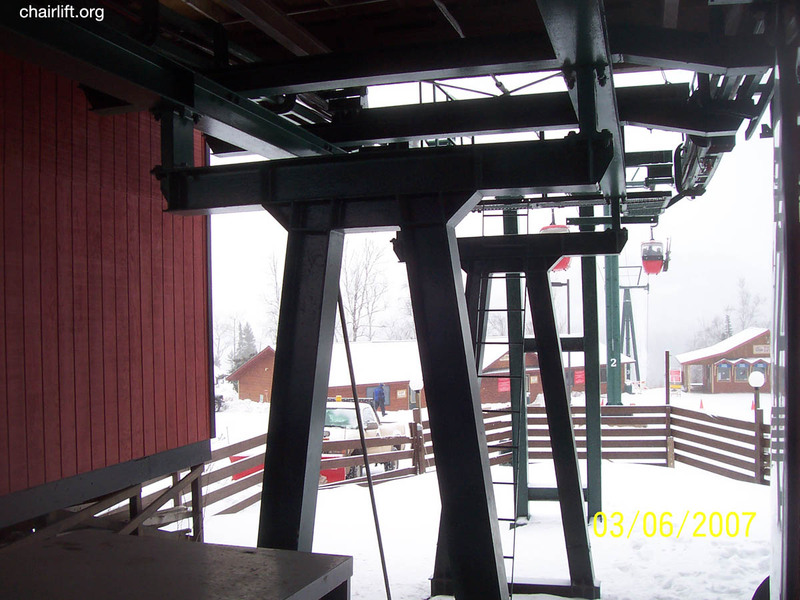 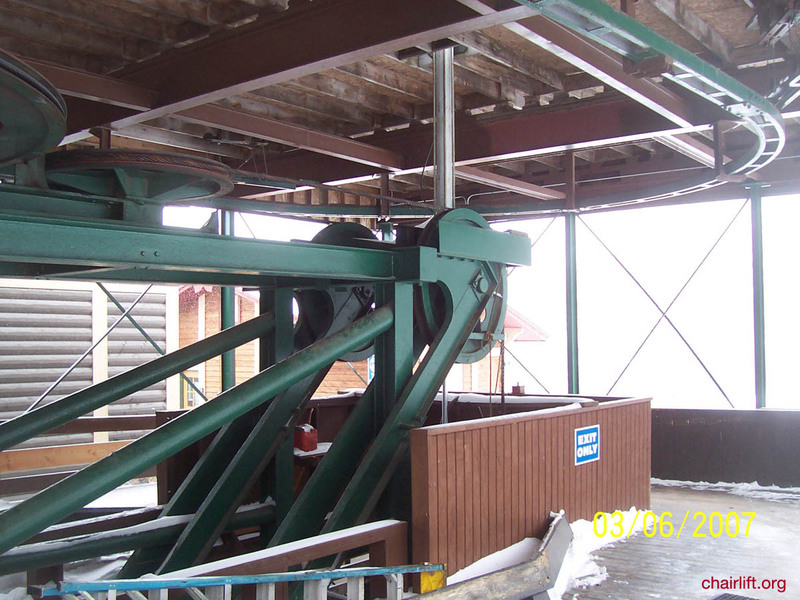 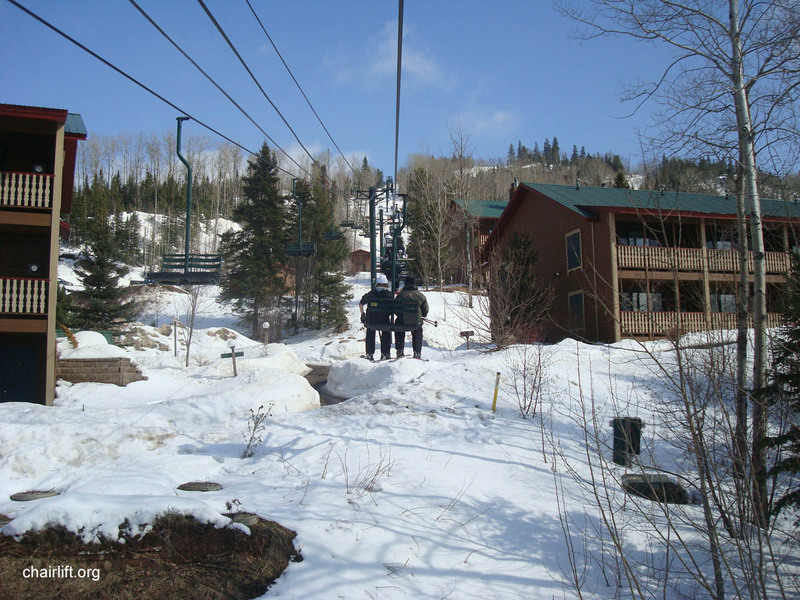 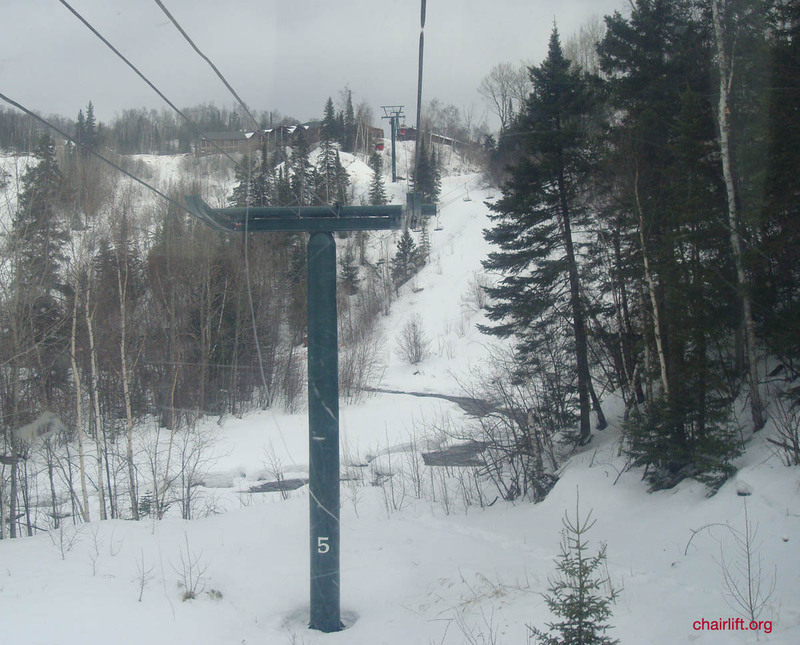 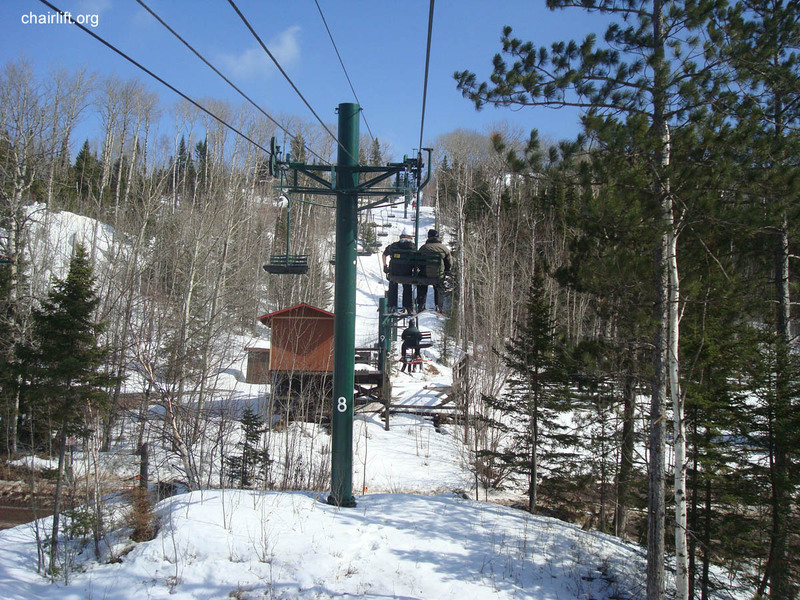 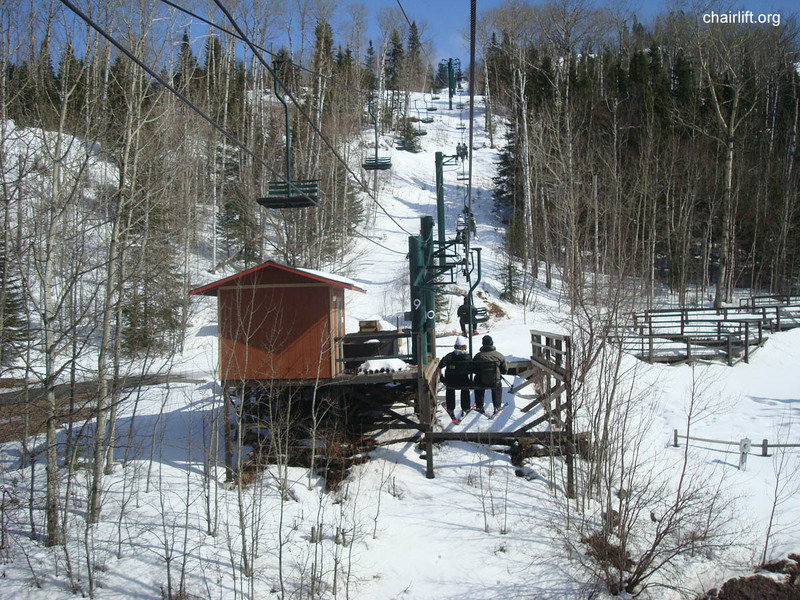 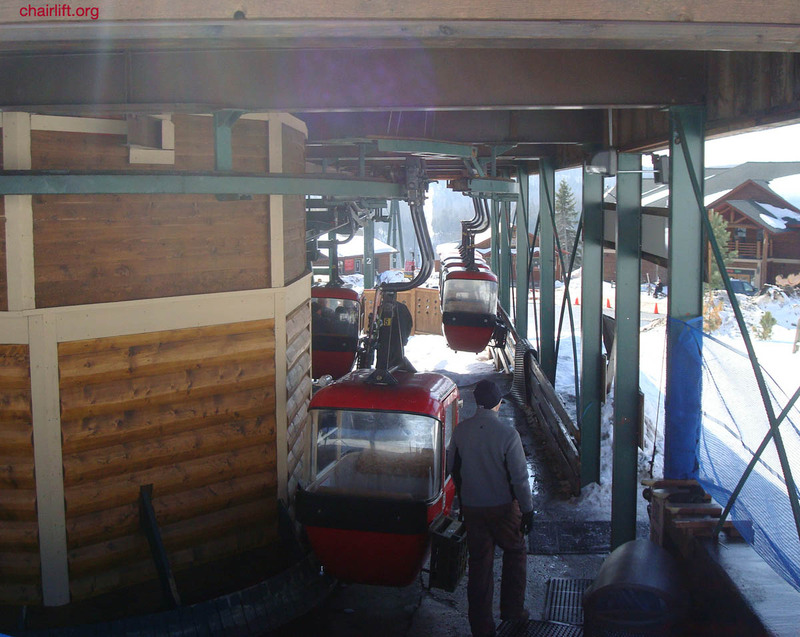 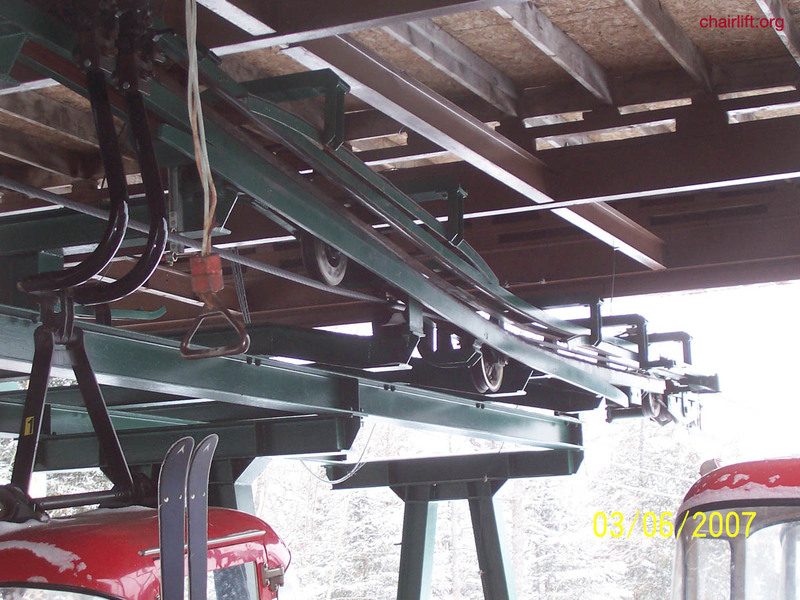 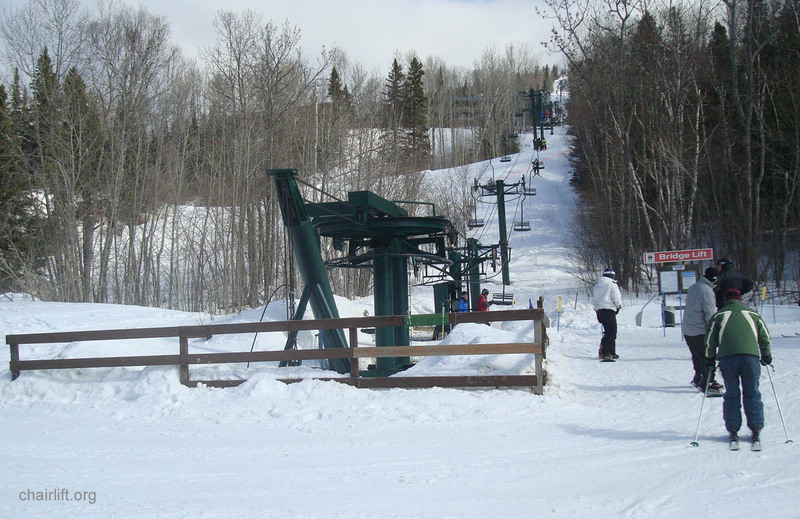 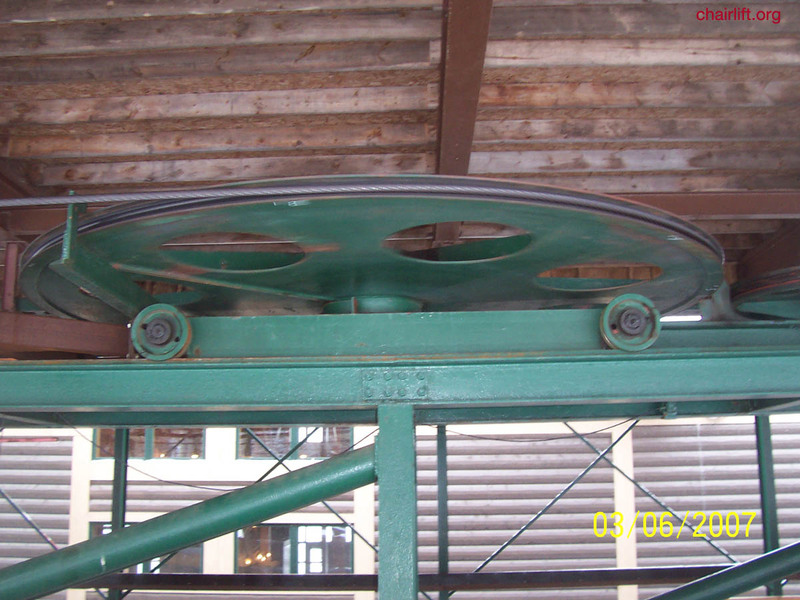 BRIDGE LIFT (RIBLET) - This Riblet double chair serves Eagle Mountain.